Peanut allergy is the most common of childhood food allergies — and getting more common. Research presented at the annual meeting of the American College of Allergy, Asthma and Immunology (ACAAI) in 2017 found that the rate of peanut allergy in children had increased by more than 21 percent since 2010.https://www.sciencedaily.com/releases/2017/10/171027085541.htm. Nearly 2.5 percent of U.S. children are allergic to peanuts. In those with the most severe allergy, even tiny amounts of peanut can bring on an allergic reaction, which can range from sniffles and hives to life-threatening anaphylaxis, or swelling of the airway with respiratory compromise.https://www.mayoclinic.org/diseases-conditions/peanut-allergy/symptoms-causes/syc-20376175. Though some children outgrow their allergies, for many, peanut allergy is a lifelong condition — one that presents many dangers of accidental exposure.https://www.mdedge.com/clinicianreviews/article/72346/immunology/peanut-allergy-awareness. Given the prevalence, and the risks, it is no surprise that in the last decade clinical research scientists have been attempting to find a treatment for peanut allergies. This involved “desensitizing” patients with microscopic doses of peanut, gradually extending how much the body can tolerate. The most notable was one conducted in Cambridge, United Kingdom, that found that 12 percent defatted peanut flour could induce desensitization in children.Anagnostou K, Islam S, King Y, et al. Assessing the efficacy of oral immunotherapy for the desensitisation of peanut allergy in children (STOP II): a phase 2 randomised controlled trial. Lancet 2014; 383: 1297-304. Academic research has led to clinical trials and over the next year or so the U.S. Food and Drug Administration (FDA) is expected to approve one or more new peanut-allergy products that use an immunotherapy approach, initiating what analysts say will be a $4.5 billion global market in the category.https://www.pharmaceutical-technology.com/comment/peanut-allergy-market-set-remarkable-growth-2027/. Until recently it appeared that the first drug to market would be Viaskin Peanut, by DBV Technologies, the first of a proposed class of drugs that treat peanut allergy by delivering small quantities of allergen via a skin or dermal patch. According to the manufacturer, the treatment avoids the risk of exposure via the bloodstream and therefore much of the potential for adverse side effects.https://www.dbv-technologies.com/viaskin-platform/. The medication is delivered as a patch containing 250 micrograms of peanut protein (the equivalent of a quarter of a peanut), applied daily.https://www.allergicliving.com/2018/06/07/patch-progress-peanut-oit-in-adults-data-presented-at-eaaci-meeting/. Although most patients are expected to develop sustained protection, they may need to receive treatment for life. Viaskin was being considered by the FDA as a treatment for children aged 4 to 11 years, with a decision expected by August. However, in December the manufacturer withdrew the drug’s biologics license application (BLA) after consultation with the FDA, based on questions raised by the agency and the need for additional data on manufacturing.https://globenewswire.com/news-release/2018/12/19/1669940/0/en/DBV-Technologies-DBV-Technologies-Provides-Update-on-Viaskin-Peanut-for-Children-Four-to- 11-Years-of-Age.html. The company says it plans to resubmit its application, and it is continuing to conduct Phase III trials for use of Viaskin in younger patients; use in adults is in early-stage development.https://www.dbv-technologies.com/pipeline/. Whether Viaskin is the first peanut allergy treatment to market or not, it is definitely not the only one in development. 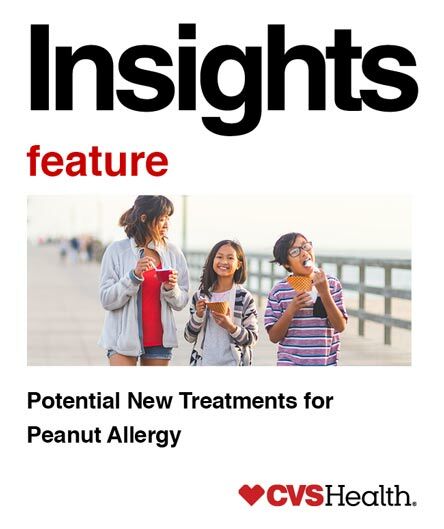 In fact, analysts expect that the emerging $4.5 billion global market in peanut allergy treatments will be dominated by the other drug expected to be approved this summer for patients aged 4 to 17 years, Aimmune’s yet-to-be-named AR101 which, like Viaskin, also received a Breakthrough Therapy designation.https://www.pharmaceutical-technology.com/comment/peanut-allergy-market-set-remarkable-growth-2027/. AR101 is not a drug in a traditional sense; it consists of defatted, carefully measured doses of peanut flour that are fed to patients over a period of months. Dosing starts at half a milligram of peanut protein and builds up over six months to 300 milligrams — roughly the protein content of a single peanut. At that point, patients continue to receive maintenance doses of AR101.https://www.businessinsider.com/peanut-allergy-treatments-available-2019-from-aimmune-dbv-technologies-2018-12. These new therapies may offer substantial benefits to patients, but they pose challenges for payors. Though prices have not yet been set, they are likely to be expensive. Last January, Aimmune’s then chief operating officer was quoted predicting that AR101 would cost $6,000-$8,000 for the six-month dosing-up phase and $4,000-$5,000 for a year of maintenance.https://www.pharmaceutical-technology.com/about-us-print/. The immune therapy can be difficult to tolerate, sometimes triggering life-threatening anaphylactic events which means that at least the early phase of treatment will need to be administered in a monitored setting. And even when successful, it offers only limited protection.https://www.nejm.org/doi/full/10.1056/NEJMe1813314. As an editorial in the New England Journal of Medicine (NEJM) pointed out, two-thirds of those treated with AR101 were able to tolerate a cumulative dose of just four peanuts.https://www.nejm.org/doi/full/10.1056/NEJMe1813314. That represents an enormous improvement for patients — but it is far from complete desensitization, and far from a guarantee of no further allergic episodes. Additionally, there are still questions about how long reduced peanut sensitivity will last after treatment, and whether patients can maintain their immunity simply by eating peanuts or whether they need to take an expensive drug indefinitely. The landscape of peanut allergy is shifting rapidly. At least two other oral drugs are in development. Meanwhile, the pediatric professional guidelines for introducing peanuts into the diets of young children have been rewritten, with a goal of preventing allergy from occurring in the first place.https://www.niaid.nih.gov/diseases-conditions/guidelines-clinicians-and-patients-food-allergy. The impact on the pipeline of new allergy patients is unpredictable. As mentioned in the NEJM editorial, the development of these new, expensive drugs began with “a bag of peanut flour costing peanuts.” And yet, given the drugs’ price tags, the potential for off-label use in populations with less severe or less definitively diagnosed allergy, as well as the likelihood of the need for lifelong treatment, means it is imperative payors plan responsible programs to ensure that these breakthrough drugs are used in the population where clinical benefit and safety have been demonstrated. Developing and implementing utilization management (UM) criteria for such new therapies is a complex process that involves careful consideration of many factors. Even now, before the FDA has ruled on either drug, CVS Health experts have begun analyzing the clinical trial reports and consulting with respected clinicians to better understand how the drugs are likely to be used. Our goal is to develop a responsible approach, including the development of UM criteria that reflect the indications where safety and effectiveness have been demonstrated, and which meets payors’ needs to balance access with impact on plan spend and trend.